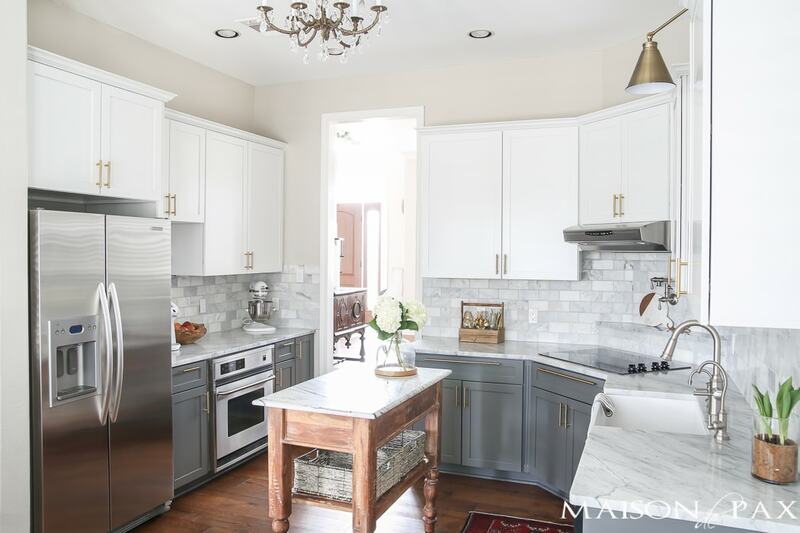 Wondering how to care for marble counters? 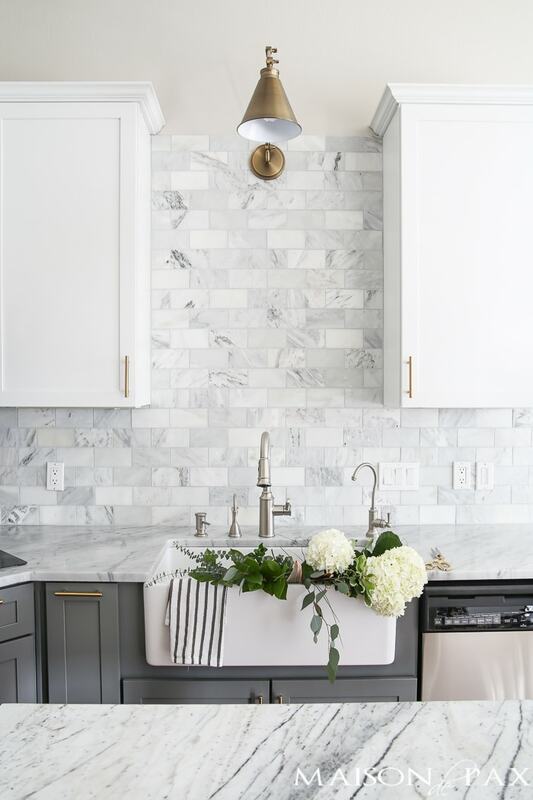 Don’t miss these 5 tips on caring for marble countertops, including details on sealing marble counters, removing stains from marble, cleaning marble countertops, and avoiding scratches. I shared our experience with marble countertops a couple of weeks ago, and your response just blew me away! But so many of you want to know how to care for marble countertops… And the questions keep rolling in: how do you seal marble? What the best sealer for marble? Do marble counters scratch? How do you clean marble counters? What do you do about stains and etching on your marble counters? Rather than write a thesis-length answer these questions ;), I thought I’d share my top 5 tips for caring for marble countertops in the kitchen. As you will see from the video, our house is kid friendly and our kitchen is much used… and we LOVE our marble kitchen counters. I hope this helps you in making the decision on whether or not to buy marble and/or caring for your own marble counters. This post contains affiliate links; click here for my full disclosure. Use cornstarch to remove grease stains. Clean with a heavy duty sponge (like these), mild dish soap (my favorite dish soap), and water. Try baking soda or comet to reduce scratches. Protect from etching with an absorbent drying mat (like this gray one or this red one). 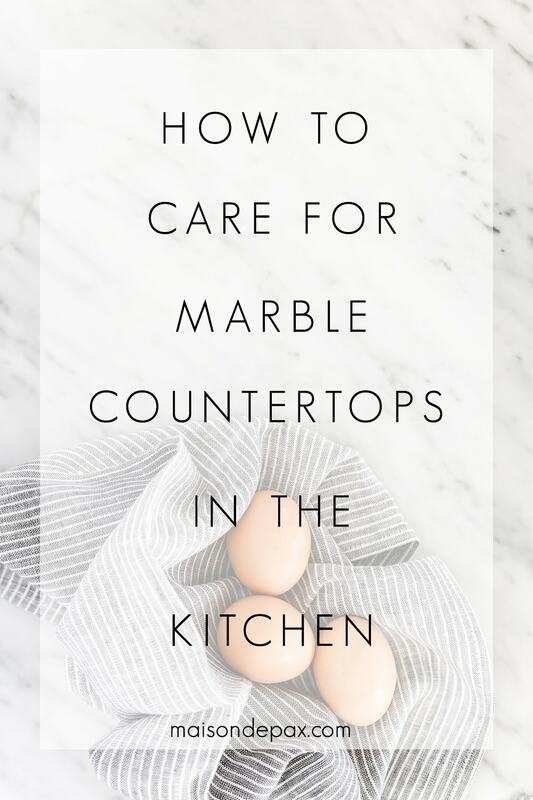 By following these practices, we have used (and I mean really used) our marble countertops in a house with four kiddos for about a year and a half… and we love them! Tell me, do you have other tips and tricks for caring for or cleaning marble countertops? Those of you who have had them for longer (I, obviously, can only speak to the time we’ve had them), what wisdom do you have to share? Remember, you can find more about our experience with marble here. And if you found that helpful, please be sure to pin it! Oh girl, YES! The sealer has been amazing. And that’s so exciting! I hope you love it!! Hi im looking for the page on your blog where it had a link to the Amazon italia subway tiles you used for your kitchen. I can’t find it anymore:( please help. The backsplash tile was actually purchased at Floor and Decor locally. It is simply a honed carrara marble tile (which is a natural stone), so I linked a similar one available via Amazon (which you can find here). With all natural stone, though, it’s important to realize that there can be lots of variations. Even with the ones we found at Floor and Decor, I picked the boxes that had cooler colors (gray and white) rather than warm creams. I hope this helps! hi! i love the island in the kitchen pictured above, do you remember where you purchased it? I would love any tips you might have for getting rings off the counters. Does baking soda work for that? I’ve put down coasters, but before I did a few rings made their way to the table. Thank you so much! I’m so happy to hear it. 🙂 I would definitely try baking soda or comet, since it’s likely due to etching. Sometimes, though not always, just a little abrasive material can lessen the effects of that. I hope it helps! Thanks for pointing out that you can use baking soda to reduce scratches. My husband and I want to have marble countertops installed. Your tips will be really helpful as we take care of them in the future. So glad I could help, Amy!